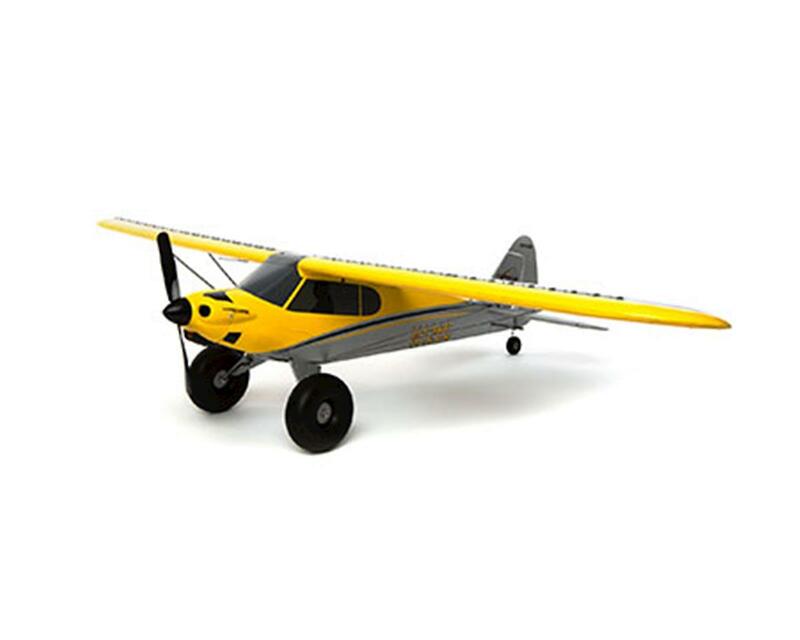 The HobbyZone Carbon Cub S+ 1.3m RTF Electric Airplane is a great aircraft. 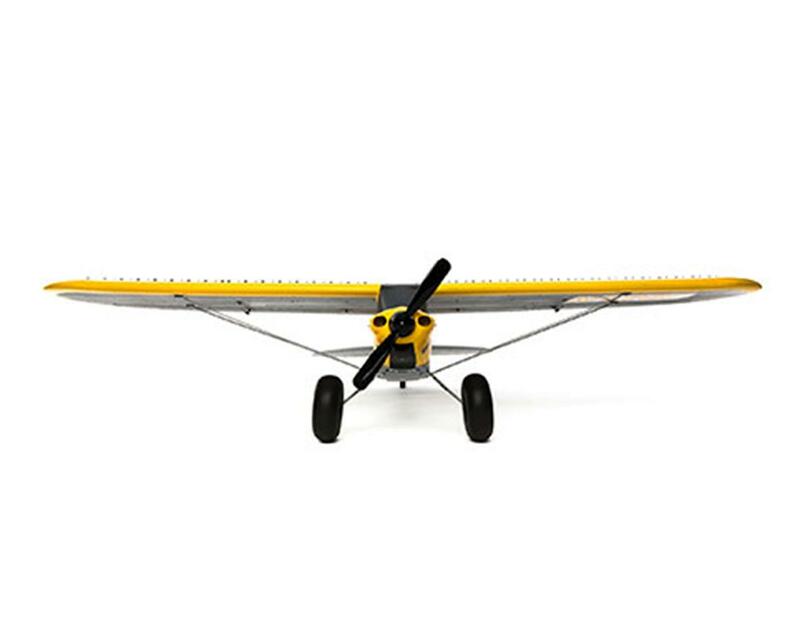 Whether you’ve never flown RC before or you got your first taste of flying with a multirotor drone, the revolutionary Carbon Cub S+ is the most versatile, capable and easiest to fly RC airplane yet. 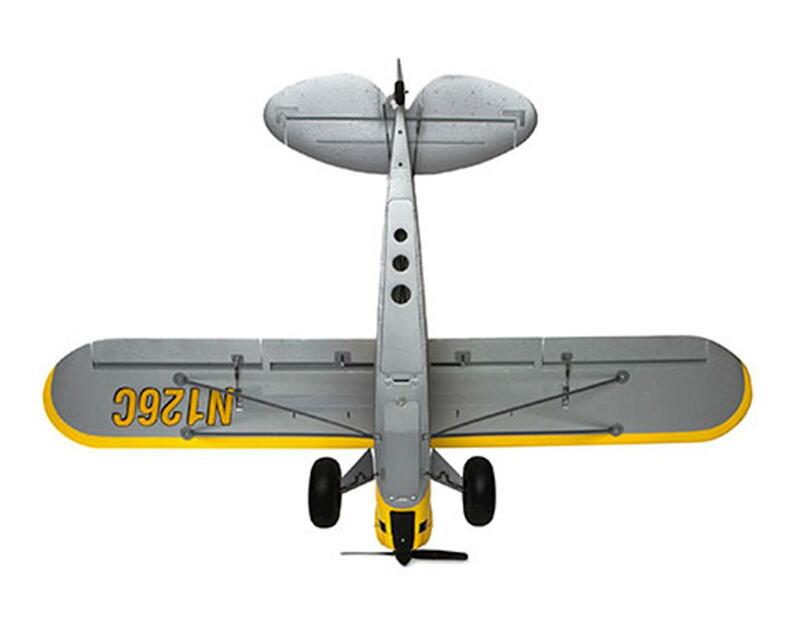 Based on the Carbon Cub by Cub Crafters, an upgraded and thoroughly modern iteration of the classic Super Cub, and equipped with Horizon Hobby's exclusive and innovative SAFE® Plus GPS-enabled drone technology, this scale reproduction makes it easier to learn to fly in less time than ever before. 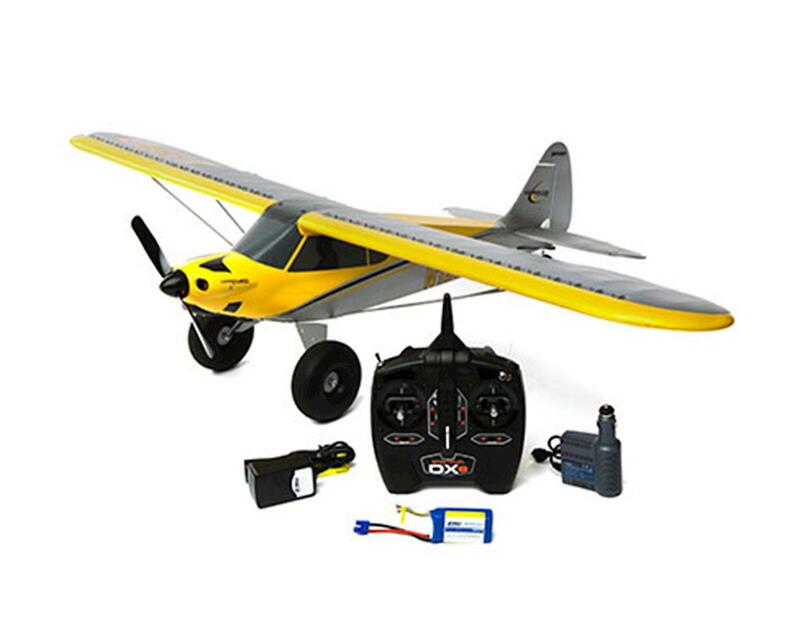 Advanced features including AutoLand, Holding Pattern and Virtual Fence make it easy for almost anyone to fly successfully from their very first flight, while additional features including oversized tundra tires and optional flaps and floats offer the capability and versatility to fly from almost any surface, anywhere. AutoLand: When activated after holding down a button, the advanced AutoLand function puts the Carbon Cub S+ on a stabilized approach to autonomously land near the GPS initialization point. You can even provide some directional guidance to avoid obstacles or to adjust the approach while letting the system do the rest to execute a safe landing. As your skills progress and you gain more confidence you can take over more of the control inputs, eventually learning to land without any assistance from the automated system at all. Holding Pattern: This handy SAFE Plus exclusive feature lets you essentially "pause" a flight by putting the airplane into a GPS-guided holding pattern. When activated after the quick press of a button, the airplane will automatically return to a position above the GPS initialization point and circle until the command is cancelled. It's a great way to safely hand the controls to a friend or to regain visual contact if you ever lose sight of the model. 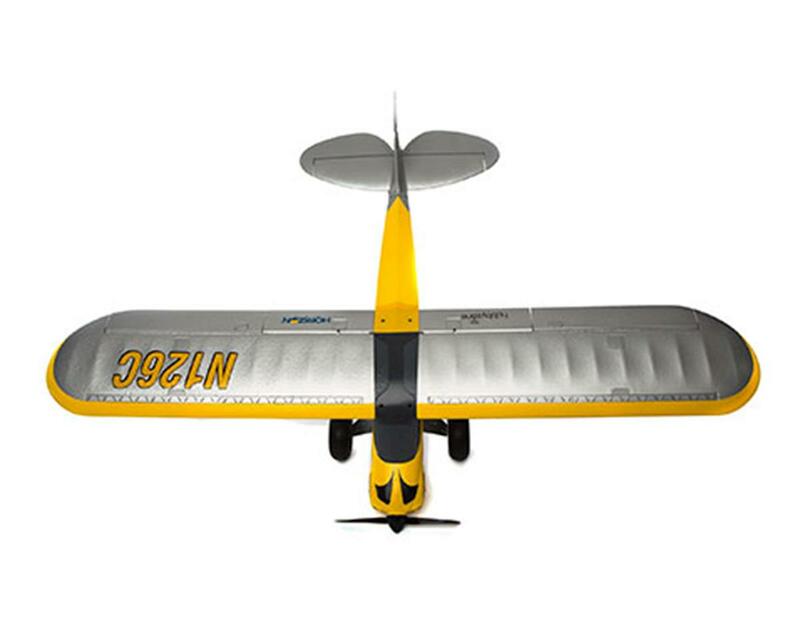 Virtual Fence: It's easy to accidentally let an RC airplane fly too far away, but with Virtual Fence worry no more because it creates an invisible boundary the airplane won't fly past. When the airplane reaches this boundary it will automatically turn around and fly back toward the GPS initialization point, then it will wag the wings to let you know when you have control again. Panic Recovery: If you ever lose control of the airplane in the more advanced control modes simply switch to Beginner Mode and release the control sticks. SAFE® Plus technology will automatically return the airplane to level flight. Beginner Mode: Pitch and bank angle limits prevent over-control that can result in a loss of orientation and crashes. When the control sticks are released the airplane returns to level flight on its own. Best of all takeoffs are as simple as giving full throttle and letting the airplane fly off the ground or by giving it a quick hand launch. Intermediate Mode: More freedom in pitch and bank, but still prevents over-control and does not return to level flight on its own. This mode allows you to make tighter turns and to climb and descend faster as your skills advance. 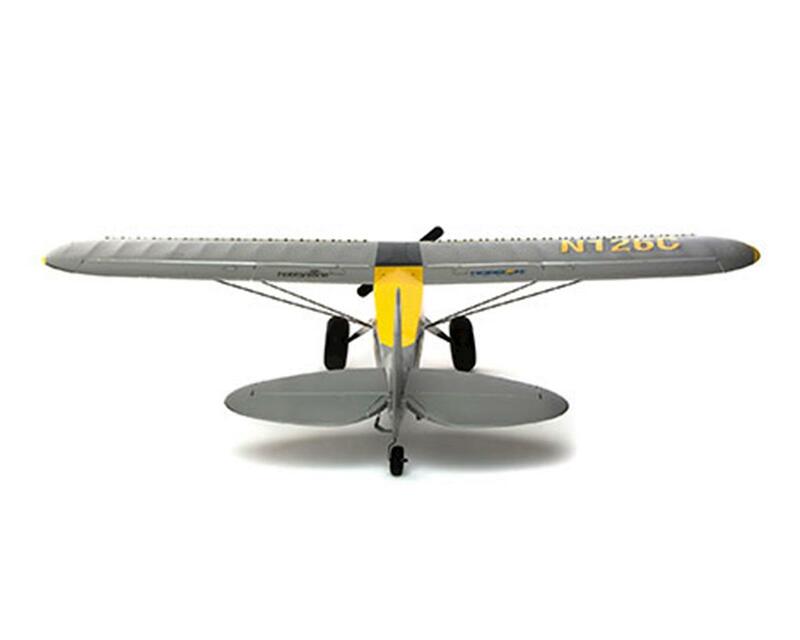 Beginner mode automatically activates and returns the airplane to level flight when the airplane descends below approximately 30 feet above ground level and the sticks are released. Experienced Mode: No pitch or bank angle limits so you have complete control! You can even fly inverted (upside down) and perform aerobatic maneuvers including loops, rolls, stall turns and more. Panic Recovery Mode can be activated by switching to Beginner Mode and releasing the sticks.